The lime green hue of this variety of tobacco plant is quite stunning. It looks great in a display all by itself, but to highlight its beauty, I’ve displayed it with a tin of pale yellow cosmos and lime green coneflowers (Echinacea purpurea ‘Green Jewel’), together with cut sprigs of Bupleurum, to complete the lime zest picture. 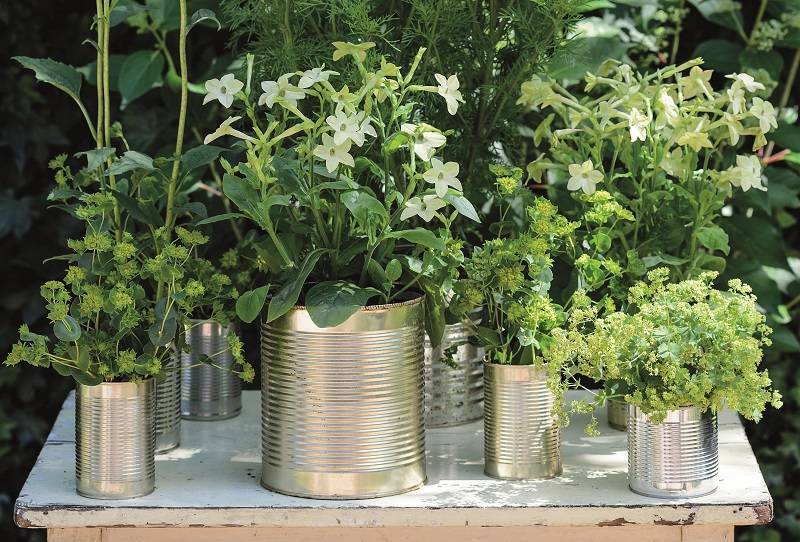 An inexpensive way to display plants, tin cans provide good homes for annuals, which don’t have large roots systems. 1. Look out for large tin cans—catering sizes are ideal and you may be able to pick them up free from a local cafe or restaurant. 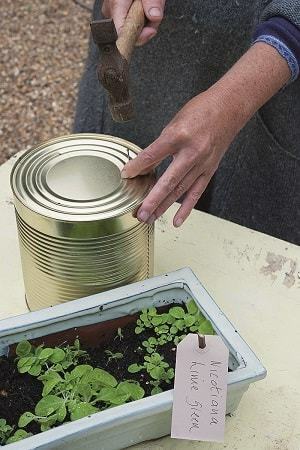 Make drainage holes in the bottom of each tin with a hammer and nail. 2. 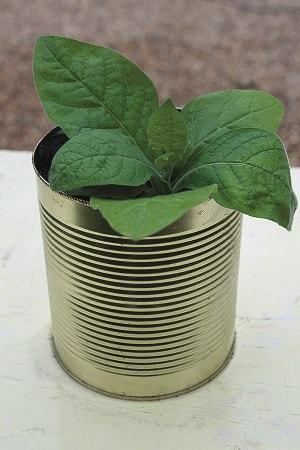 Fill a large can almost to the top with multi-purpose compost. 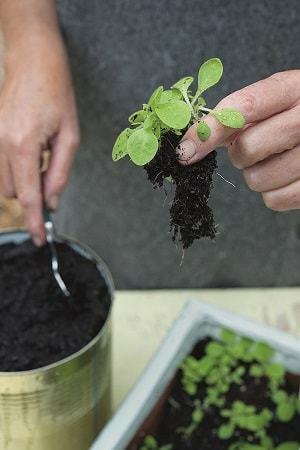 Gently transplant four or five seedlings into the can using a teaspoon to scoop out the roots. 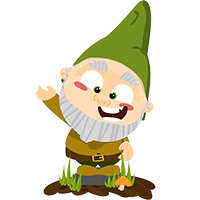 To avoid any damage, handle the seedlings with care. 3. 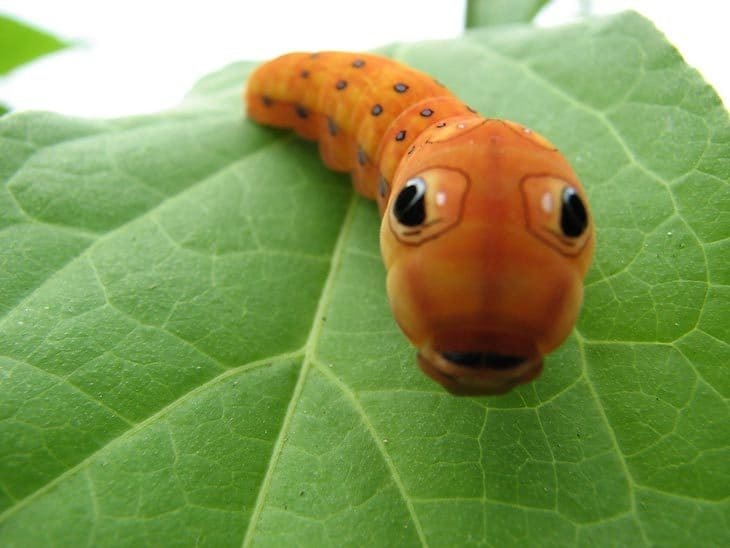 As the seedlings become established, take out all but the strongest, healthiest plant to give it space to flourish and flower. If the others are growing well, too, pop them in their own tin can filled with compost. 4. It took five months from sowing to flowering, so patience is the name of the game. 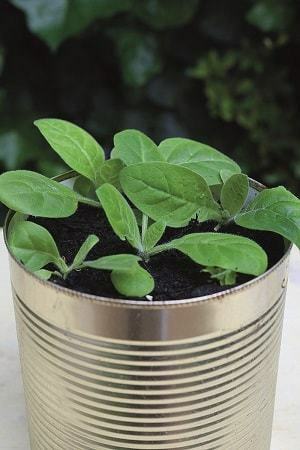 Water the tins every day or two, and remove faded blooms to encourage more to form. 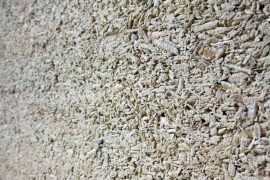 You can also harvest the seed in autumn. Carolyn Dunster trained in floristry with Jane Packer and now works as a florist and planting designer, running her business, Urban Flowers, from her home in north London. 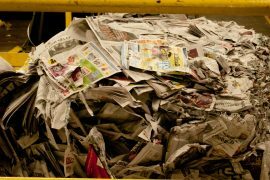 She has written for several magazines, including House & Garden and Country Homes & Interiors. 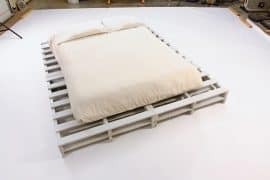 She exhibits regularly at garden shows and flower festivals in the U.K., and recently co-designed a small cutting garden at the RHS Hampton Court Palace Flower Show on behalf of Katie’s Lymphoedema Fund, which won the People’s Choice Award. She designs planting schemes for small urban plots and grows as many flowers as possible in her own city garden to use in her floristry work. 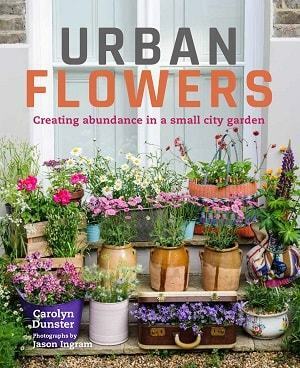 Excerpted from Urban Flowers: Creating abundance in a small city garden, © Carolyn Dunster and Frances Lincoln Limited 2017.